P.S. This is my go-to cookbook and I recently heard an NPR interview with Roy Choi and it made me want to read L.A. Son. Have you read it? I love cookbooks too. I have to admit I’m terrible at following recipes because I adore making up and adapting recipes, but I love looking at the pictures, the fonts… I would love to browse through some of yours, hope to encounter them somewhere! I’ve just ordered two more I’m pretty excited about – The Food52 Cookbook and Super Natural Cooking. Two of my faves in my cookbook library are Cook in Boots by Ravinder Bhogal and The Caker by Jordan Rondel. Cookbooks are so addictive!!! Cookbooks ARE so addictive!! Thanks so much for your recommendations! I can’t wait to check out Food52, Cake in Boots and The Caker! I am definitely a cookbook hoarder. I already have half of these! My current favorites are Wholefood Baking by Jude Blereau and Love Bake Nourish by Amber Rose. Both are only available online as they’re not published in the US. Sara, I’m loving what you’re doing with your recipes lately (gluten-free, refined sugar free, etc.) so I will definitely check out Wholefood Baking and Love Bake Nourish. Thanks for your recommendations! I’ve been ordering a ton of paleo cookbooks since I’ve been trying out that lifestyle lately. So much fun! Cannot imagine my kitchen without Betty Crocker! LOL Betty & I make the best pie crust ever! My favorite healthier cookbook is Molly Katzen’s Moosewood. I’m not a fancy cook, but I think I do okay. Good ol’ Betty Crocker!! Really can’t beat her. I have two of her cookbooks from the 50’s (maybe earlier) that I received as gifts one Christmas. I cherish them. I’ve even found handwritten recipes written on loose paper in between pages! My dad gifted me the Betty Crocker cookbook his mother gave him when he moved out of the house. I use it all the time! You have to try the cupcake book from The Humingbird Bakery, if you haven’t tried it before. I swear by it, all of the recipes work, every single one of them! Great post! 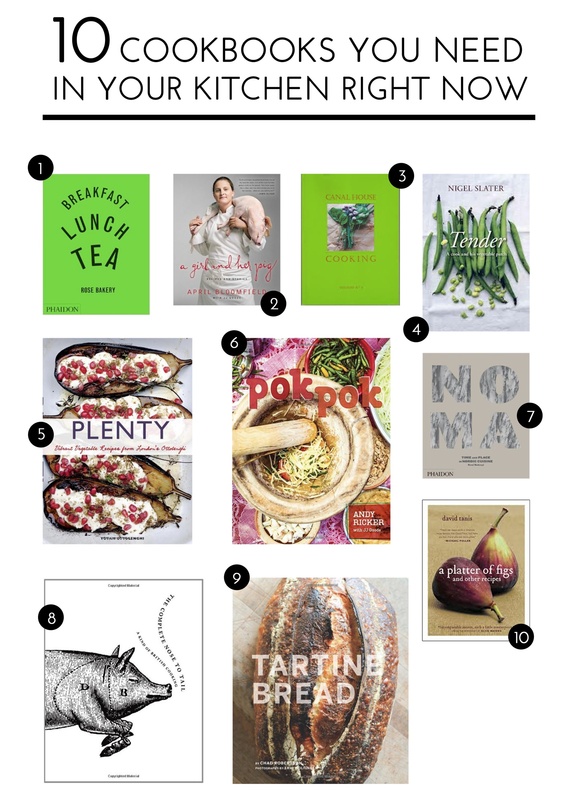 I’m a cook book hoarder and like you there are books I haven’t cooked from…. One day! My absolute best and most-used cookbook is not even really a cookbook – the Flavour Thesaurus is a must for anyone who loves to invent their own recipes or cook by instinct – it offers every flavour pairing known to man, even some very unexpected ones, all categorised by ingredient, and for each combination gives a selection of popular recipes. Absolutely brilliant. The Flavor Thesaurus sounds right up my husbands alley. He’s a total fly by the seat of his pants kind of cook. I think I’ll keep it as a back pocket gift idea for him. It sounds amazing! Thank you! No problem! My ex was the same and he still says it is one of the best presents he ever got! I love to cook but I am still learning! Does anyone have any recommendations for beginners? Some of the cookbooks I’ve picked up are a bit intimidating.. And it’ll boost my confidence to start small! First of all I love that you’re trying to learn how to cook. Food is so good! And when you make it yourself, it’s so satisfying. I highly recommend having a copy of The Joy of Cooking, it’s big and intimidating but once you crack it open you’ll see that it’s very simple to follow and gives you the basics of EVERYTHING!! It’s a great stepping stone for venturing out with your own flavor combos once you’ve learned the foundation of a recipe. It was one of my first cookbooks and it’s still the book I reference most. Hope that helps!! How to Cook Everything is great! It, too, is a little intimidating, but a wealth of knowledge! Yes! I have it and love it. I really need to break my books out more often though, they’re always such an afterthought. Ha! Yep sounds like a serious crochet problem to me.. could be worse ;)! i could stare at breakfast, lunch, and tea for HOURS. its photos are so inspiring… i think they were the first food photos i really got in to. i also just picked up a copy of plenty! yay for vegetables!! oh! That’s good to know! I’ve never seen the book in person but I want to so badly! Plenty is great! I’ve heard some people complain about the metric conversions not translating to the standard measurements we use in the US but I haven’t run into any issues. When in doubt, I always weigh my ingredients anyway. Happy cooking! I love cookbooks too but tend to have a lot more baking ones than cooking ones. I do have the Joy of Cooking and use it anytime I need to check anything American! The only one of those ten I have is the Ottolenghi, I will keep an eye out for the others! I too am a cookbook hoarder. They are excellent bedtime reading material. I love your top picks list! Pok Pok the restaurant is pretty amazing so I’m sure the cookbook is as well. I have not read L.A. Son, but my husband and I are taking a Thai cooking class from Roy Choi next month–I’m sure I’ll have to pick it up after that experience! Love your blog! I can totally relate. Alas, the last cookbook I bought was 2 years ago and I have yet to cook from it:) However, I do look through my monthly BA subscription and always try things. Made a lovely fish stew recently. Personally, I would by the “platter of figs” just based on the cover. Cheers! I’m the same with cookbooks and books in general, I’m always finding books to buy. Definitely need to checkout these books on your list, But my favourite at the moment is Rachel Khoo cookbooks which i actually have cooked out of but not all the recipes. I need to take a peek at all of these! I’m a big fan of Martha Stewart Baking, my hand-me-down Betty Crocker (from the 70s), and Intoxicated Cupcakes–which is a bit more specific than the cookbooks you’ve mentioned. I’m also dying to get my hands on The Model Bakery Cookbook and Bouchon (by Thomas Keller). i have been looking for a good list and am so glad i stumbled upon your blog – it’s beautiful! and i’m excited to tackle some of this reading. :) tender’s already one of my faves. I totally agree with your list, these are great! But I must add Veg – the river cottage, and The Green Kitchen, from Green Kitchen Stories. These are my absolute favorite vegetarian cookbooks! It’s not gluten-free, paleo or vegan, but it’s a gem: Marcella Hazan’s Essentials of Classic Italian Cooking…if you like Italian food, I feel it’s a must-have! It teaches you a lot, plus nice illustrations and loads of great recipes for any time of the year. Her tomato sauce is the best I’ve made. I’m a huge fan of Deliciously Ella. It’s an amazing cookbook for those who struggle with food intolerances. It’s been a lifesaver for re-inspiring me to cook and enjoy it.